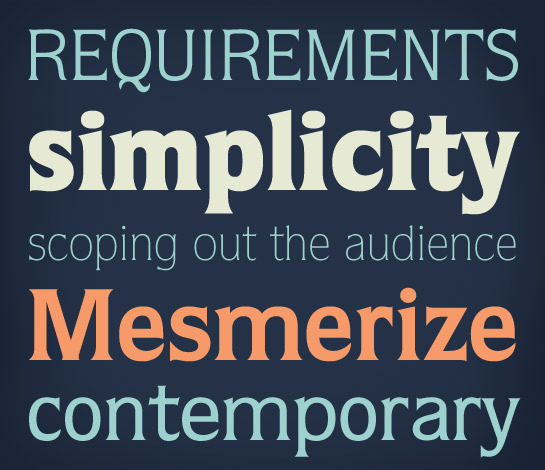 In ITC Quorum®, designer Ray Baker has neatly filled the gap between serif and sans serif. He has combined the qualities of both in one face. At first glance your sense of design tells you that Quorum is successfully unique, but it is only after careful study that the sensitive design characteristics begin to surface, and even they are hard to pinpoint. It takes a keen eye to uncover the scores of minutiae that, in total, are responsible for the excellence of this typeface. 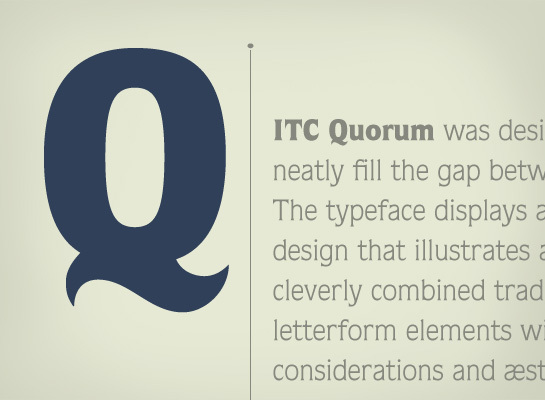 The five weights of ITC Quorum have a relatively high character count owing in part to the modified oval shapes that help conserve space. The letters and numerals show a contemporary flair that is sure to make them a thoroughly respected typographic mainstay for years to come. Download a printable sample of ITC Quorum as a PDF.